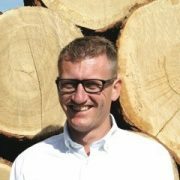 JB MARINE is a family owned company established in 1986 by Jørgen Bojesen (also co-founder of BOWA Marineplywood in 1973). It all began with laminated mouldings for bulkheads, navigation stations, doorframes, hatch surroundings etc. In the beginning of the 1990’s the company began its production of composite yacht doors, known as a very stable and light-weight door. Since then, more than 100.000 complete doors have left the production and JB MARINE is recognized as a reliable and quality conscious partner. In 2002, John (junior) came on board and in 2007 the company was handed over to him and it is still traditionally run, based on core values such as quality products and customer satisfaction.